Mid Century 1931 Curt Teich Linen Postcard in Very Good, Unused Condition. This C.T. American Art post card was published by E.F. Nelson Novelty Company of Van Buren, MO. 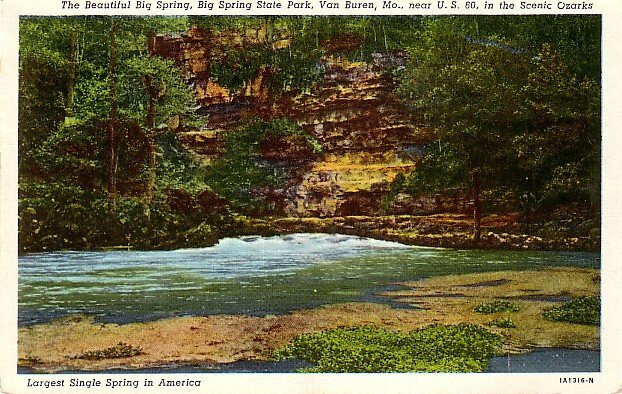 The Big Spring from which the park gets its name, is the largest single spring in America, with a maximum flow of 840 million gallons of water per day.